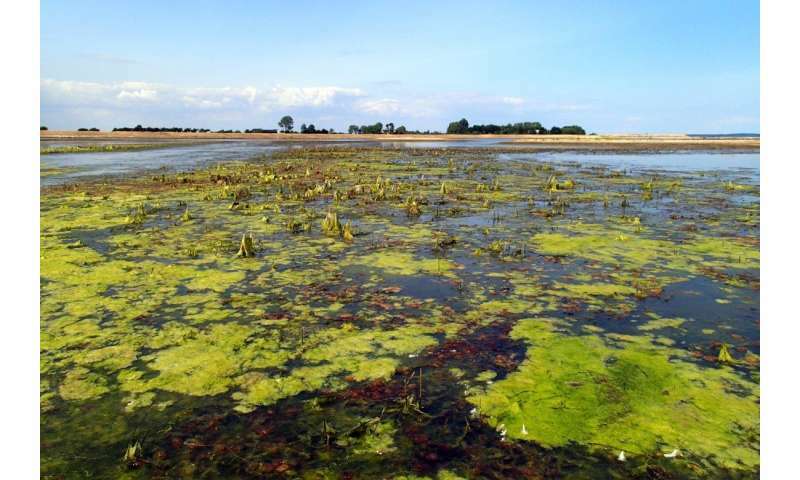 In 2015, macroalgae bloomed in the lagoon, feeding on nitrogen from the old farmland. Since 2015, there has been no algae blooms. Credit: Sandra W. Thorsen/SDU. 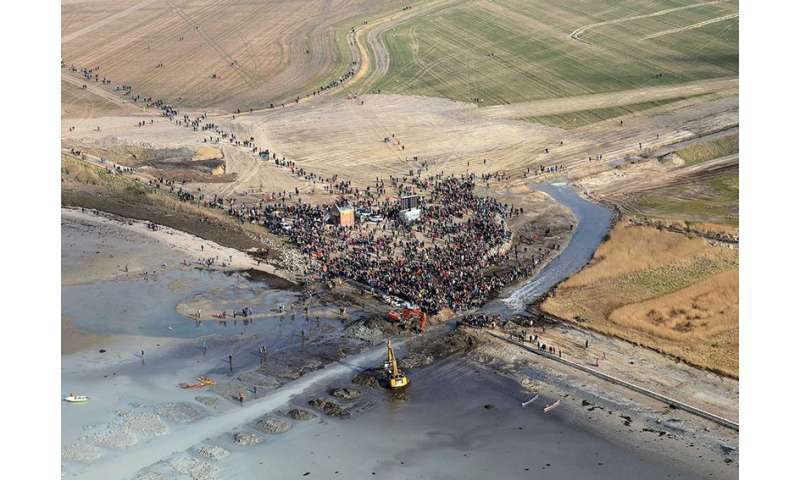 "The obvious benefits are that you avoid the costs and stress of building and maintaining dykes to keep the rising sea levels out. But the newly created natural lagoon has great value in itself, too. It attracts many visitors who come to enjoy the area and birds come to nest and forage. The lagoon has a capacity to raise public awareness on diversity and nature," said Cintia O. Quintana, post doc at Department of Biology, University of Southern Denmark. "The worms are the pioneers and burrow through the old farmland soil and in this process they modify the bio-geo-chemistry. They have paved the way, so to speak, for other species to follow. Now, we have blue mussels living in the lagoon, and they will probably attract other animals like crustaceans and snails, which could attract even more birds. The lagoon ecosystem is getting more and more diverse," said Cintia O. Quintana. "It is a long process and we hope that it will be possible for us to continue our studies in the future. 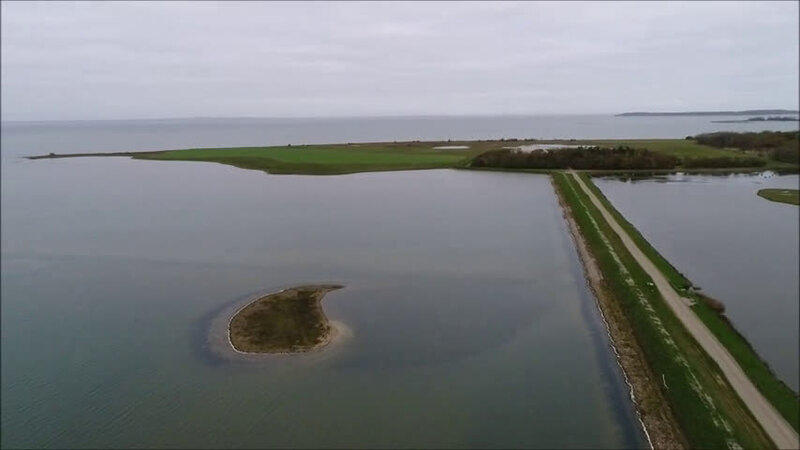 We have already collected a lot of data and measurements, which colleagues and authorities in other countries can use to evaluate possible flooding of coastal land, but it will be beneficial for both Denmark and other countries that we gain more knowledge." Rising sea levels: Future sea levels are predicted to rise two to 16 mm per year as a consequence of climate change, implying 0.2 to 1.2 m higher average sea levels by year 2100. What I saw was 214 hectares of farmland ruined.